It represents the first application of Extended Range Electric Vehicle technology by a full-line luxury automotive brand. Industry-leading Extended Range Electric Vehicle (EREV) technology provides a full driving range of 340 miles (545 km), combining pure electric driving and an efficient, range-extending generator. 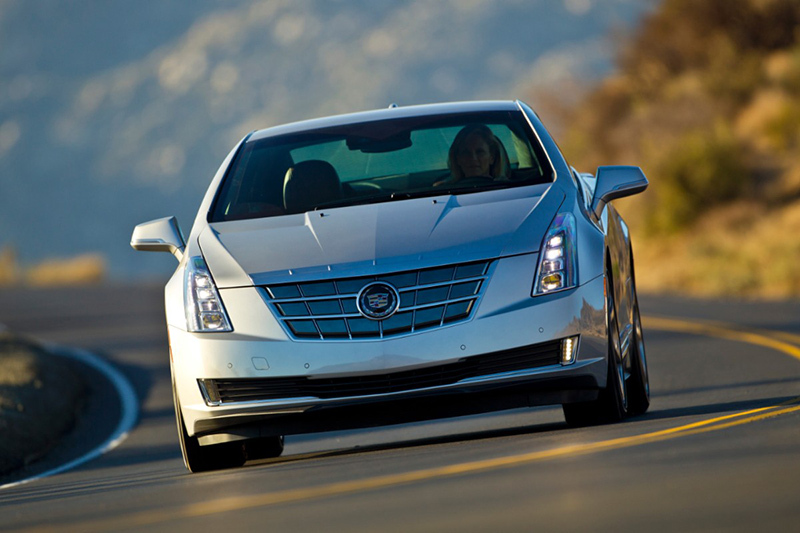 The proven EREV technology is uniquely tuned for Cadillac in the ELR. Most daily commutes will require zero gasoline with zero emissions. Longer trips are free from electric-vehicle range anxiety because EREV technology enables the same long-distance freedom as a conventional car. Lights on the side mirrors pulse green while the battery charges and go dark when charging is complete. Exterior colors include Black Raven, Radiant Silver Metallic, Graphite Metallic and Crystal Red. Luxury appointments, great proportions and a flowing and ergonomic cockpit incorporating the latest technology interface were top priorities for the ELR interior design team. A continuous feature line from the instrument panel through the doors to the back glass creates a complete and harmonious cockpit environment. Medium Cashmere and Jet Black are included in the interior color palette. 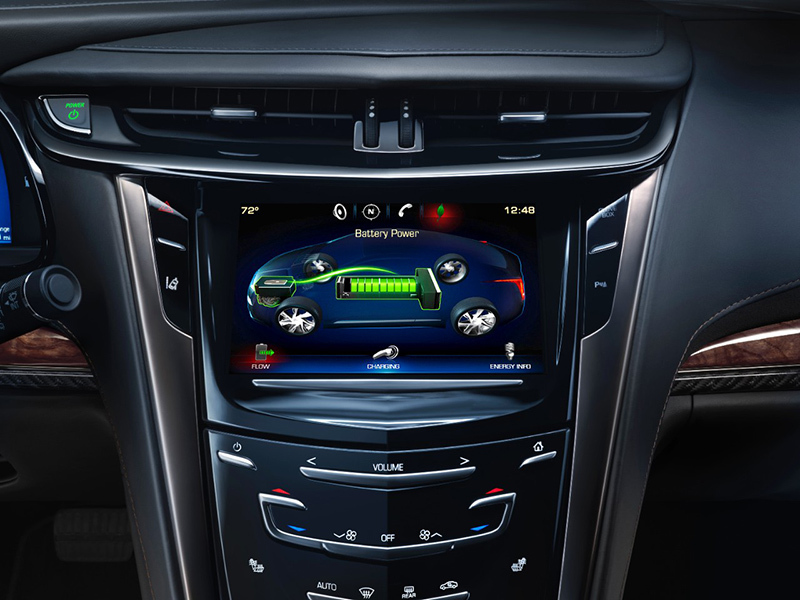 Cadillac CUE with Navigation is an integral component of the ELR’s driving experience, displaying energy usage and charging options in addition to the standard infotainment options, such as phone contacts and song information. Multi-touch hand gestures: Interactive motions (tap, flick, swipe and spread) popularized by smartphones and tablets allow easy scrolling of lists, zooming maps and searching favorites on the LCD screen. Linux operating system, ‘open’ software platform and ARM 11 three-core processor: Each operates at 400 million instructions per second and the hardware setup offers 3.5 times more processing power than current infotainment systems. It also allows developers to write applications to CUE that can be downloaded by users. A motorized faceplate for CUE pivots upward at the touch of button, revealing a concealed storage compartment with a USB that accommodates smartphones and other electronic devices and personal items. CUE’s LCD screen features the driver’s five most frequently used functions stored along the top of the screen. At the bottom of the screen, users can select up to 60 favorites – from music to points of interest, addresses, maps for weather or directions, phone numbers or system commands, such as “tag song.” Favorites can also be re-ordered and named to be easily recallable. The steering wheel includes a five-way controller to navigate the cluster display, vol­ume control, cycle through favorites, voice recognition, phone hang-up and more. Standard chassis control systems include anti-lock brakes, traction control and StabiliTrak electronic stability control. 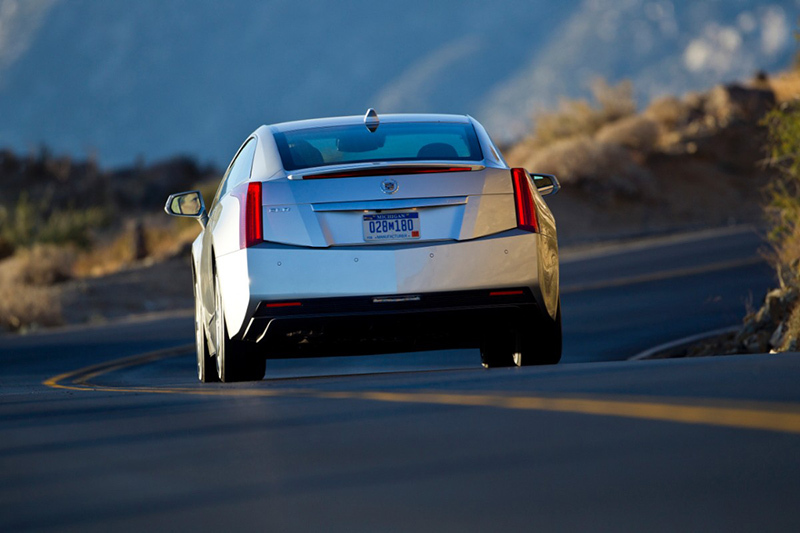 Because the ELR operates so quietly in all-electric mode, a driver-activated feature sounds a noise to alert pedestrians, particularly those with impaired vision, in an intersection. The alert was developed in conjunction with the American Federation of the Blind. The ELR is powered by GM EREV technology, combining pure electric drive and an efficient, range-extending 1.4L gasoline-powered electric generator capable of 162 kW (217 hp) of total system power. The ELR’s battery is a T-shaped, 16.5 kWh lithium-ion battery pack. It is located along the centerline of the vehicle, between the front and rear wheels for optimal weight distribution. The 5.5-foot-long (1.6 m), 435-pound (198 kg) pack supplies energy to an advanced electric drive unit capable of 295 lb.-ft. of instant torque (400 Nm) to propel the vehicle. Using only the energy stored in the battery, the ELR will deliver a GM-estimated range of about 37 miles (60 km) of pure electric driving, depending on terrain, driving techniques and temperature. Charging the ELR’s battery can be done with a 120V electrical outlet or a dedicated 240V charging station. The vehicle can be completely recharged in about 5 hours using a 240V charging station, depending on the outside temperature. 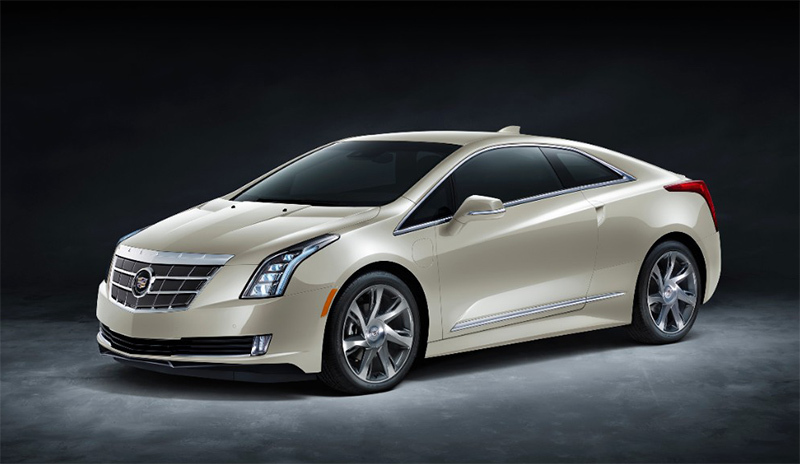 The Cadillac ELR is manufactured at General Motors’ Detroit-Hamtramck Assembly Plant, the world’s only automotive manufacturing facility that mass-produces extended-range electric vehicles for global markets in 21 countries. It is also home to Southeast Michigan’s largest photovoltaic solar array. The 264,000-square-foot feature generates up to 516 kilowatts of electricity – enough to charge 150 ELRs per day.